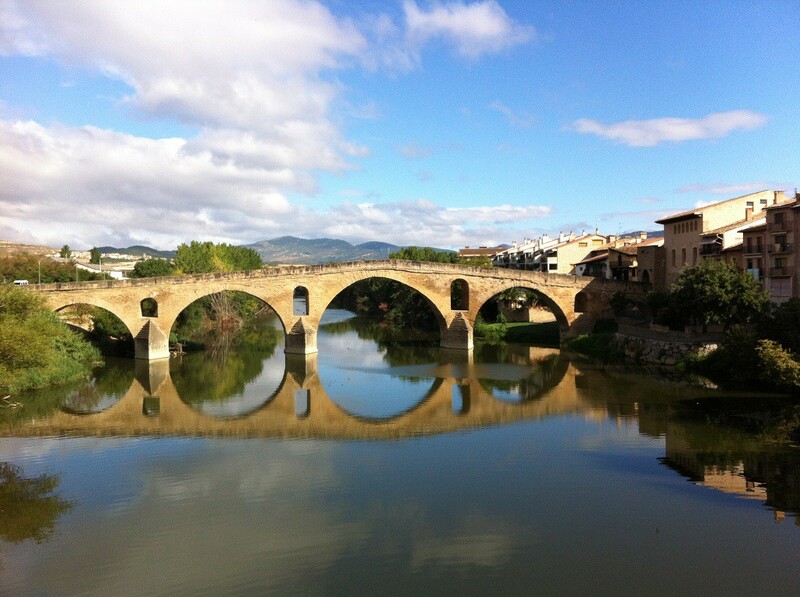 My journey over the Pyrenees following the route of the Camino de Santiago surpassed all my expectations. Thank you to everyone who sponsored me. I only wish you could all have been there with me. 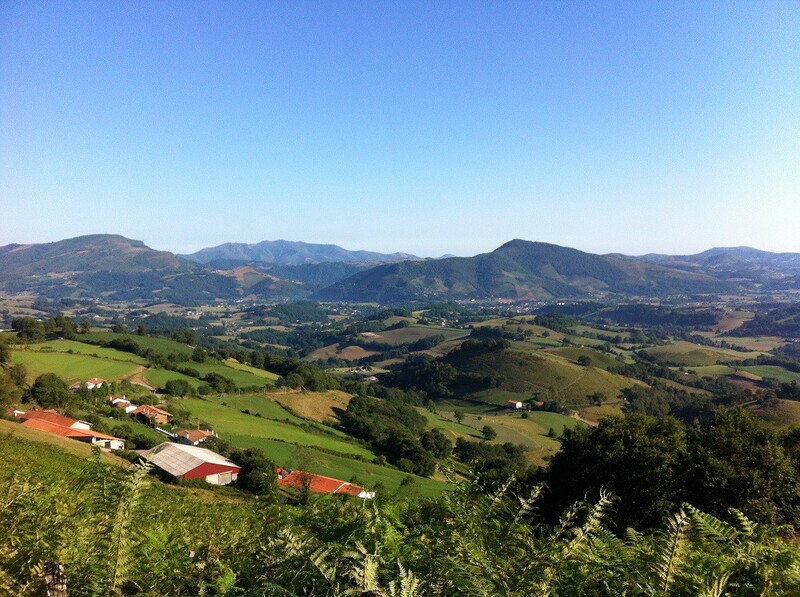 Vicki and I spent 12 days in all travelling down through France and Spain and back to the UK and 6 days on the Camino, if you count our first day in St. Jean Pied de Port checking out the start of the route and registering to get our ‘passport’ which we subsequently had stamped at the end of each day’s walk. The scenery was breathtaking and no photograph can do justice to the beauty that surrounded us and the beautiful world that God has created. I was fortunate and did not suffer any aches or pains etc and felt fresh each day as we set out to walk to our next goal, but Vicki was already suffering with toothache and a pulled muscle in her back before we set out and these were compounded by blisters, sore toes and a nasty skin reaction to the sun on her legs. Progress was therefore much slower than we had planned, yet once we had started out each day, we did not count the hours but just immersed ourselves in ‘The Way’ and took pride in each section we completed. 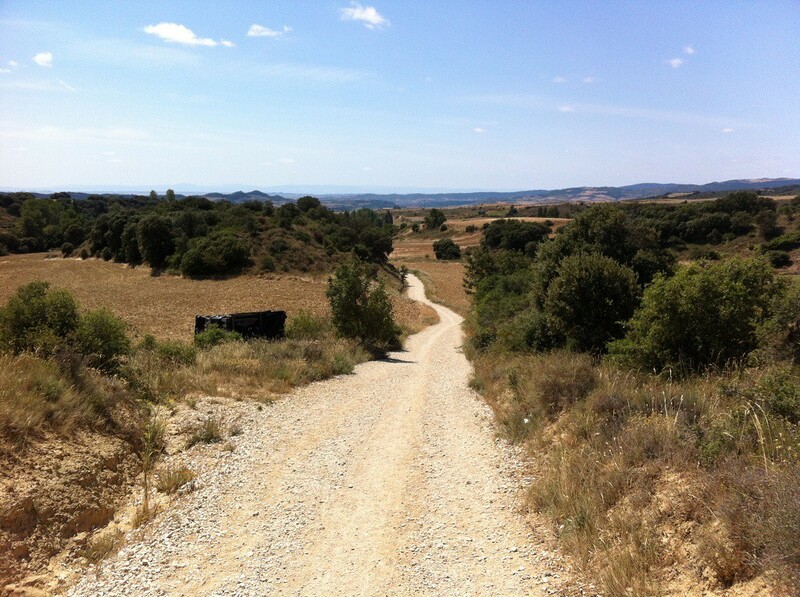 We met fellow ‘pilgrims’ each with a different tale to tell and reason for doing the Camino. Some like us were just walking a few days. Others had taken time out of their lives to walk the entire way to Santiago Compostela, a journey of nearly 800 km taking at least 30 – 40 days. Neither of us had planned this holiday as a pilgrimage as such, so I was surprised to find that once you settle into the rhythm of the walk you cannot help but begin a personal reflection and start searching within yourself asking the bigger questions of life. Why am I here? What is the purpose of my life? Am I living it wisely. What plan has God in mind for me? Am I actively seeking the answer to this or doing my best to avoid facing this head on, fearing the consequences if I do? My pilgrimage was as much a walk within myself as the physical walk along the path. Quite simply, I watched a film ‘The Way’ starring Martin Sheen and Emilio Estevez about walking The Camino de Santiago from France across the north of Spain to Santiago de Compostela. It inspired me to do this pilgrimage one day myself. After sharing this with my friend Vicki, she invited herself along and insisted that we make a start this year! 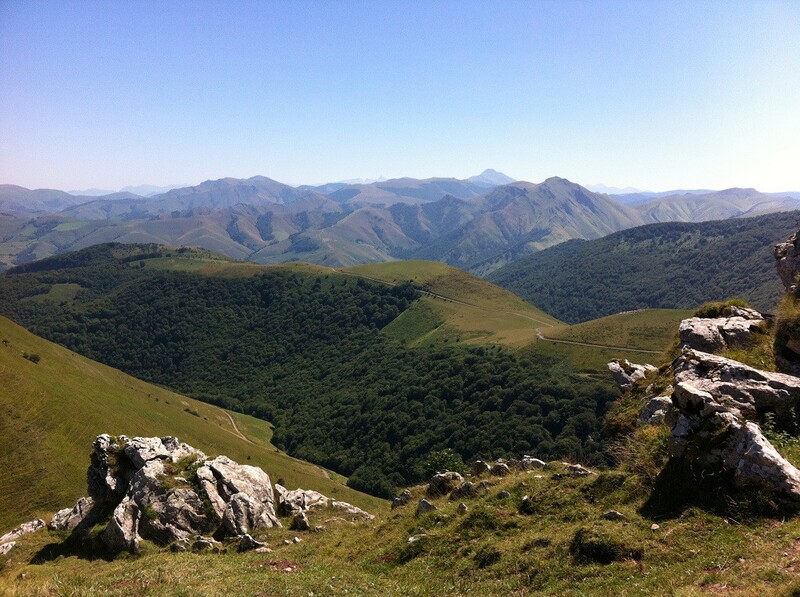 So this August, we are walking for 5 days from St. Jean Pied de Port in S. France over The Pyrenees to Puente la Reina in Spain – covering the first 50 miles of the Camino. To do the whole pilgrimage in one fell swoop takes over 30 days (485 miles)! Our trip is organised and booked, so any funds raised will go directly to Emmanuel International to support their projects – wherever the need is greatest, and especially in Uganda. Firstly, EI does such a wonderful job on the ground, working alongside their local partners, in various projects, all of which serve local churches and their communities. I have first hand experience of this. Secondly in recognition of the many miles I have already walked in order to train and get fit. So please put your hands in your pockets to sponsor me just for being ‘Jane’; planning the journey to the ‘nth’ degree, wasting hours of indecision on the internet and in countless outdoor shops to get the right equipment and struggling in vain to keep my backpack from weighing more than 6 kilos (which is nothing, I know, but I am still struggling with it! It is a lot bigger than the bag in my photo! !……).